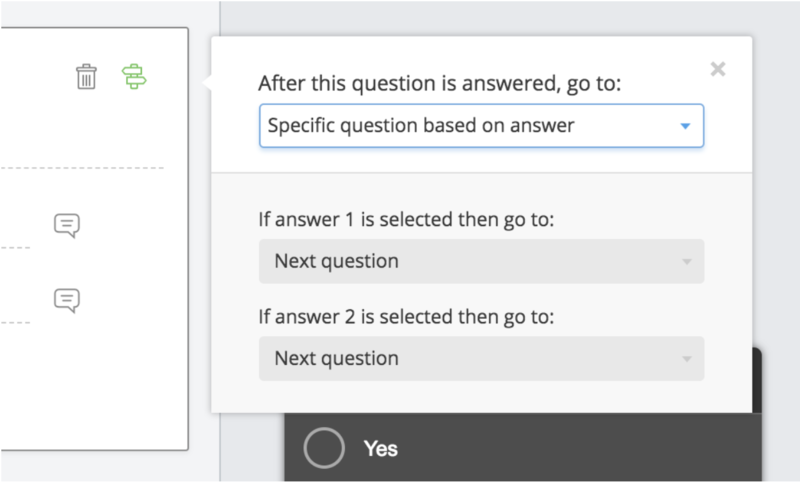 You can now create three new question types in Hotjar Polls and Surveys allowing you to collect better feedback and follow up with your visitors. You can now use 5-point and 7-point rating scale questions in both Hotjar Polls and Surveys. These are known as ‘Likert scales’ and allow you to measure your users’ attitudes towards a question or statement. You can now ask your users for their email address and validate that it’s a correct email. This makes it easy to follow up with more questions, schedule a call or interview, or just get in touch when you’re incentivising feedback with prizes. Forced binary questions are a great way to build up commitment in a survey or poll. While radio button questions were already possible in Hotjar, we received requests to have a quick shortcut to create a Yes / No binary question. It’s a very easy step for your visitor to take and in Polls it makes for a great opportunity to ask a segmented follow-up question. In Hotjar Polls you can easily ask follow up questions by using question logic. These new question types are already available in your Hotjar account. We’ve also set up a sample survey so you can experience these new question types in action. These features were brought to you by everyone who gave us feedback. Keep the suggestions coming, we're here to make Hotjar more valuable for you.